The worker is biologically capable of advancing her development, that is, to skip certain stages, when the well-being of the hive is at risk. Similarly, worker bees can revert to earlier activities (such as wax production) to meet hive needs. When a bee emerges from a cell her work immediately begins. She will first prepare her own cell to receive an egg, honey, or pollen by removing all foreign matter. For the next two days she incubates brood, feeds older larvae, and prepares cells. 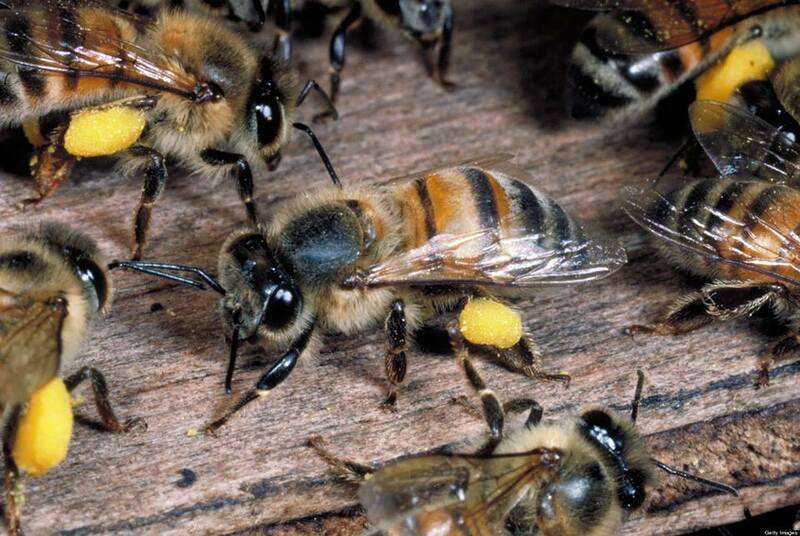 Worker bees possess a hypopharyngeal gland that produces royal jelly, or bee milk. This rich blend of proteins and vitamins is fed to all bee larvae for the first three days of their lives, after which workers and drones are fed a mixture of pollen and honey. 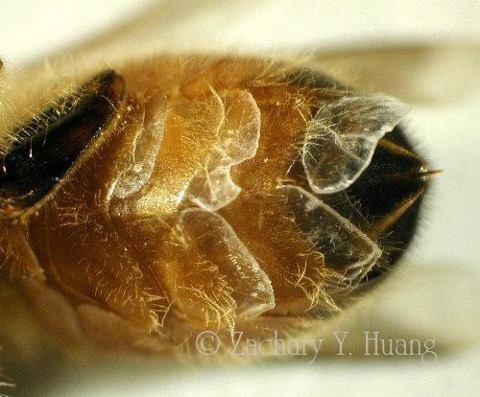 When a female larva is fed continuously on royal jelly, she will rapidly develop into a queen bee. 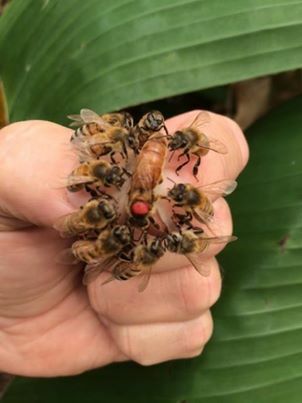 This nutritious diet will remain the only food that a queen will ever consume, allowing her to maintain a high level of continuous egg production hydropglands on her head become active and she begins to produce Royal Jelly. 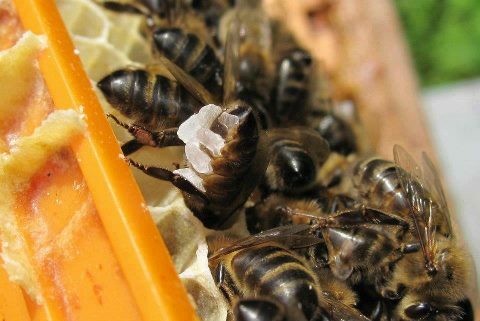 Only queen larvae receive pure royal jelly for their entire gestational period. 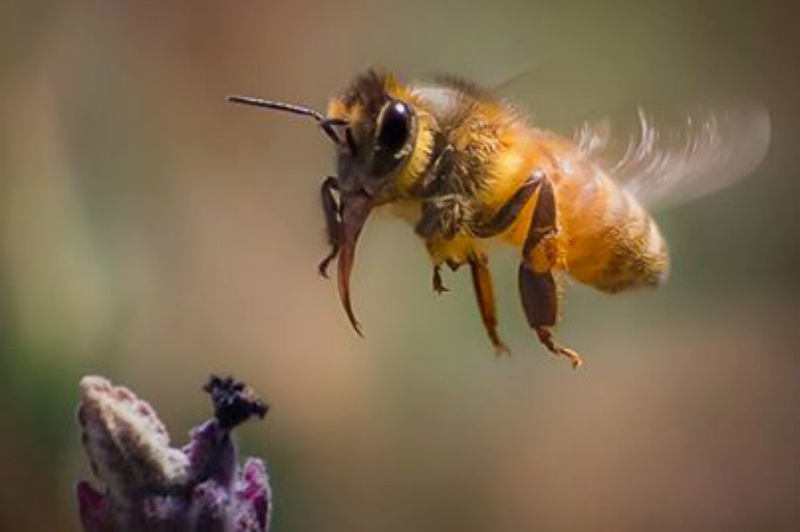 Worker bee and drone larvae are feed royal jelly for the first three days of development, after which they are given a mixture of pollen and honey known as bee bread. In the second week of a worker bee's life, she tends to the hive. She stores nectar in cells and evaporates the water content by fanning the area with her wings. She builds and repairs comb once her wax glands are developed. Once her food and wax glands cease functioning and she is unable to carry out her normal duties, she then undertakes the task of defending the colony, allowing only bees with the smell of her queen's pheromones or bees bringing in pollen and/or nectar into the hive. 4 of the 8 wax glands located on the underside of the abdomen. Foraging occurs in the final stage of a bee's life. In one day a bee will make approximately 12 round-trips from the hive, traveling an average distance of 2 miles per trip. 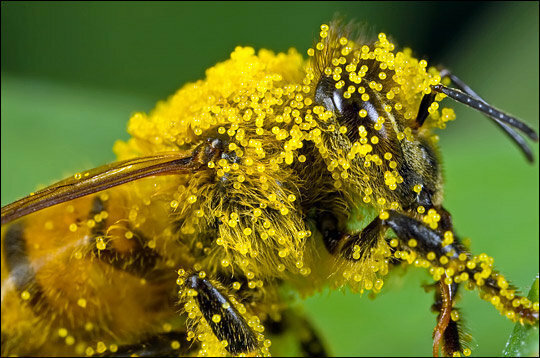 When a forager returns to the colony, she passes the nectar stored in her honey crop to a house bee and off loads the pollen stored in the pollen sacs on her hind legs. The bees drop off time is about 1 minute. If the forager bee finds a good source of nectar, she will relay the coordinates to other bees by doing a waggle dance. The length of the waggle relays the distance to the nectar or pollen, while other aspects of the dance give the location of the nectar relative to the sun's position.